Kathy came home last night and for some reason kept the Sky Mall magazine from her flight. 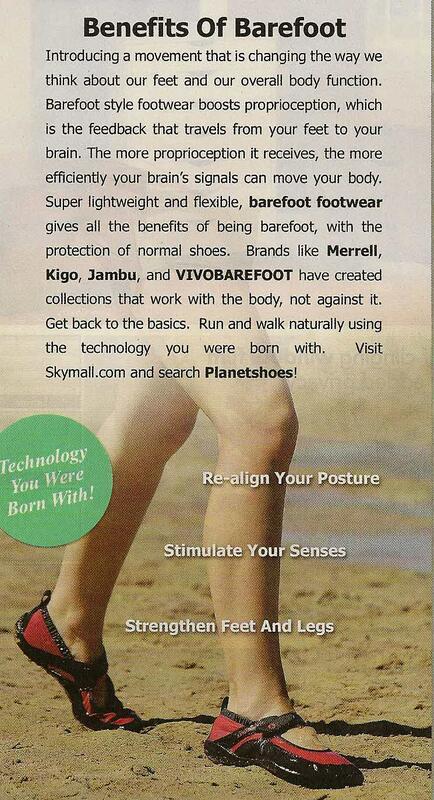 Steph was browsing through it and pointing out the goofiest stuff when she found an ad for barefoot footwear. 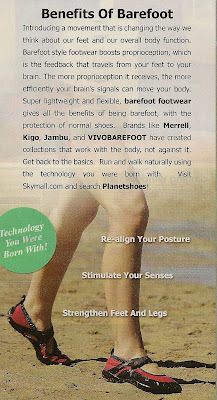 I know, the words "barefoot footwear" seem oxymoronic. Strengthen your feet and legs. I don't know about the first claim. Look at the right posture image down below. Who stands like that? The second claim is true when you step on sharp objects. 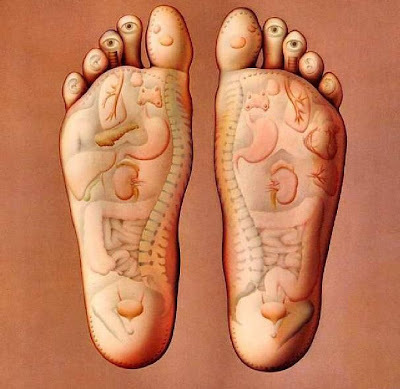 The third claim is spot on when it comes to your feet. But check out the center graphic below. It looks like they copied some of the stimulation points from the reflexology chart. Catch an acorn in the right place and you'll crap your running shorts. And watch those second and third toes!